No project highlights the dramas, conflicts, successes and failures of Arup's vision for the architect-engineer relationship more than Sydney Opera House. The story of the building of this extraordinary structure and the nature of its revolutionary design cemented his reputation. It is hard to overestimate the importance of this project to Arup personally, to Australia politically, and to architecture internationally. The building took many years to construct and its Danish architect, Jørn Utzon (1918-2008), left the project before its completion. How the story began was telling, given what was to follow. Utzon entered the design competition with no more than a sketch on a scrap of paper. The judging panel didn't include a single engineer. The sketch, with its ambitious soaring sails, or shells, impressed the panel. But construction began before the design had been fully researched and so the problems started. If present-day computer technology had been available at the time the sketches might have been put aside and the shell design resolved. As it was, the only hope for resolving the incredibly complex geometries of the roof structure was through an intensive collaboration between architect and engineer, which is why the Opera House is one of, if not the, greatest symbol of 20th Century architect-engineer collaborative achievement. The personal similarities and differences between Arup and Utzon were almost on a par. They were both passionate, both Danish but each very determined and not always in agreement when it came to their opinions on beauty and practicality. Unlike Arup, Utzon was neither a scholar nor an intellectual. However, at first it seemed that Arup's dream of a deeply collaborate architect-engineer relationship was about to be realised. His initial opinion of Utzon was favourable in that direction. Their first meeting took place in early 1957, soon after Arup had sent one of his congratulatory letters to Utzon asking him if he wanted to work with another Dane and gain specialist advice from his company. Arup's partner, Ronald Jenkins, was, he pointed out, a "leading authority on the calculation of shell structures". 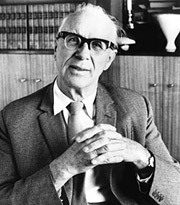 By late February 1957 Ove Arup & Partners' appointment as engineer was confirmed. 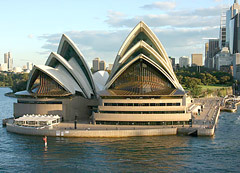 By 1958, Utzon and Arup had visited Sydney together. Hopes for what seemed a perfect union were high. Amazingly, this was the young architect's first major project to be built. He had won many other competitions but not a single one of the winning designs had been commissioned. His consequent lack of experience and political naiveté were to cause great difficulty. In 1958, Ove Arup & Partners engineer Jack Zunz, who had joined the company in 1950 and would later take over as chairman, took over the running of the project together with Michael Lewis. The excitement Arup felt about Utzon's design at first overrode the practical problems of construction. However, the state government of New South Wales soon had a crisis of confidence in the roof structure and called in Zunz and Utzon to convince them that it could in fact be built. In spite of ill-health, Arup stepped in. He was instrumental in convincing the government that the project was viable, and that his engineering solution for the shells was sound enough for it to continue. The shells, each specified to a different curvature in the original design, took Ove Arup & Partners six frustrating years to resolve and the project tested the concept and practice of Arup engineer-architect relationship ideas to the limit. Arup tried to convince Utzon not to insist on smooth surfaces for the shells in favour of ribbed structures that could be more easily realised. Tension mounted unbearably as the struggle to resolve the roof structure brought out the defensive and competetive sides to Utzon's character. It took all Arup's energy, as well as endless research, to reach the eventual breakthrough. 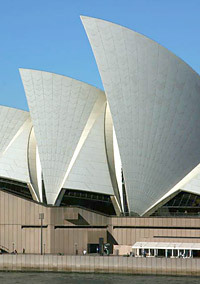 Utzon eventually conceded that the shells should have a uniform curvature, making it possible to use repeated precast units. Precisely who made this decision is still disputed but Arup was generous in attributing the idea to Utzon. Collaboration-wise another major difficulty was distance, plus working between offices in Denmark and London. Neither engineer nor architect had an office in Sydney in the early years of the project. The building itself had other challenges besides the shell roofs. These included the approach steps and concourse, the acoustics of the performance spaces, disputes about the seating capacities, and Utzon's focus on the exterior rather than the interior of the design. Space was being sacrificed on the interior in favour of the resolution of other issues, while for the exterior finances were being stretched beyond all reason. Utzon wanting his shells to be realised no matter what the cost. By 1963, relationships were seriously deteriorating both between the engineer and architect and between Utzon and the Australian government. In 1965 Utzon built a brick wall — literally (he had the connecting doorway bricked up) as well as metaphorically — between his office space and that of the engineers. In 1966, utterly overwhelmed by how complex the project had become, Utzon resigned. However, the project still gripped Arup. Determination to fulfil a dream kept him from turning away from what he knew was no ordinary building. 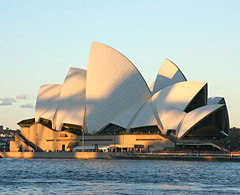 Sydney Opera House was totally unprecedented and is still one of the world's most talked-about structures. Utzon's name is of course synonymous with it, but the perseverance of Arup and his partners has became just as strongly linked to its story and ultimate success. In a 1964 BBC interview Arup described the project as by "far the most difficult and almost too exciting". The Opera House wouldn't be finished for another nine years, yet this quote neatly sums up his relationship with it. He took no part in detailed design after the roof structure was resolved but he was in great demand to explain the stormy story. Less obvious to the outside world was the effect the project had on him personally. It seems he lost his unihibited enthusiasm for architects in general and his ability to trust those outside his own team. Sydney Opera House, Sydney, Australia — with the dramatic shadow of the nearby Sydney Harbour Bridge. Sydney Opera House from the harbour. The concrete 'sails' that make up the roof are clad in ceramic tiles that were manufactured in Sweden. Between the concrete and the tiles is a layer of polystyrene insulation.